Decorating is always more of a challenge if you are on a budget. On a budget you won’t have as many choices as when you have money to spend. However, if you are willing to be a little flexible in what you are looking for you can usually decorate for quite a lot cheaper. Here are some tips on how to decorate on a budget. 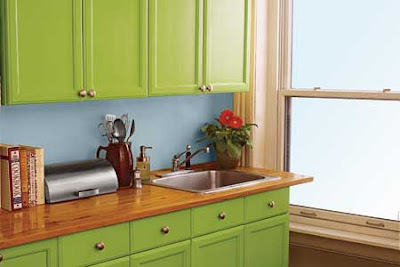 Instead of replacing cabinets reuse what you can out of the cabinets you have. If the doors are in decent shape but the paint is peeling or you are sick of the color, think about sanding them down and staining or painting them. If the doors are shot but the cabinet frames are good reuse just the frames and only buy new cabinet doors. The new doors most likely will not match the frames and boxes, but you can paint the frames and boxes either the same color, or a contrasting or complementary color to make sure they look exactly the same or different on purpose in a good way. Remove curtains from windows that have nice views. Windows without curtains will have a cleaner more elegant look to them. Although, curtains can add more personality to a home and they can also help to add a seasonal feel. Gauzy curtains feel summery, while heavy curtains give a room a more cozy winter feel. Check back soon for the next blog post which will be about decorating on a budget using wallpaper, mirrors, or by covering up imperfections strategically.